HOW TO CHOOSE THE RIGHT FOUNDATION COLOUR | RAWR BOWS. 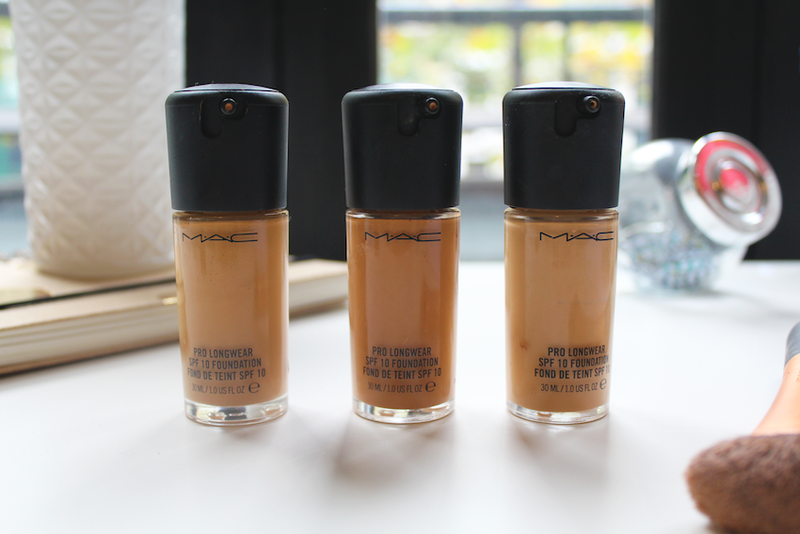 Is it just me or finding the right foundation shade is trickier than it seems? I currently own three different shades of the same foundation and I still have to mix them all up to get my exact color. In order to stop playing with my foundations every morning at 7AM I decided to go to this marvellous world called the Internet to find how to choose the right shade and share what I found with you guys. Undertones, they are your life saviours in this department. I'm sure you've seen this word come up many times online and you probably know what they are. In case you don't, we all have undertones - we're either warm, cool or neutral. The real question is, how do I know what undertone I am? Look at the colour of your wrists' veins. If they are green/olive your undertone is warm, if they are blue your undertone is cool and if you've got both then your undertone is neutral. Another way of telling which undertone you are is using jewellery. If gold jewelry suits you, you've got a warm undertone. If, on the other hand, silver looks better on you, you've got cool undertones. And if you're lucky enough to have both suit you, you're neutral. Now that you know your undertone you know what kind of shade to go for, roughly. Either one with a blue and rosier base (for cool undertones), one with a more yellow base (for warm undertones) or any if you're neutral! So I go to the store and find a foundation with warm undertones (in my case), and it turns out there's like a bazillion different shades, ones slightly darker than others. And, according to an unknown source, trying foundations on the hand doesn't do the trick (now I know why I have so many foundations that are the wrong colour). Instead, try putting some foundation on the back of the jawline and see if it blends in with your skin. If it does, then the foundation is probably going to be the right shade for you. Something else I recommend it taking samples. I don't think you can get samples from drugstore foundations, but if you use MAC or a more high-end brand then ask them to give you a sample. That's what I always do now. I like trying the foundation on my whole face and seeing how it looks in different lightnings! If you're really struggling to find the right shade, I would suggest going into a MAC store and asking one of the makeup artists to tell you your shade. Write it down and if you don't want to buy a MAC foundation just google some dupes or similar foundations!